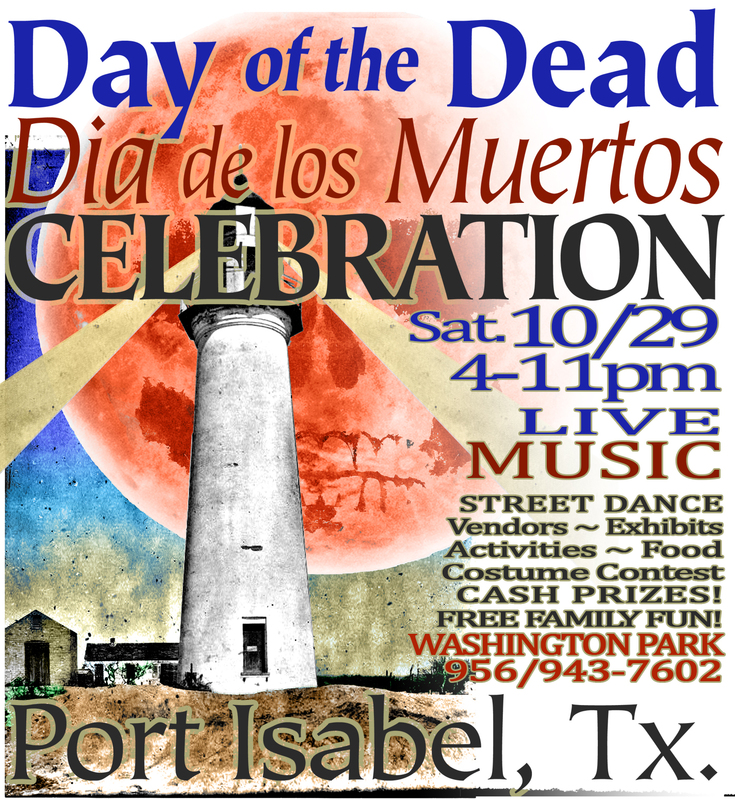 The Museums of Port Isabel, in collaboration with the City of Port Isabel, the Laguna Madre Museum Foundation, the Port Isabel Economic Development Corporation, the Laguna Madre Art League, present their Annual Day of the Dead festival – “Los Colores Del Muerto” on Saturday, October 29, 2016 from 4 to 11 p.m. in Washington Park (new location, 156 W. Madison St.) in Port Isabel. The event includes hands-on activities including sugar skull decorating and altar making, vendors with a variety of food and wares, costume contests, dancing and music. No admission charge to the event. The Port Isabel Lighthouse, Historical Museum and Treasures of the Gulf Museum (where the altars will be on display) will be open from 10am-4pm on Saturday, October 29th. Special event admission: $1 for each site. The Treasures of the Gulf Museum (308 E. Queen Isabella Blvd.) will be exhibiting altars made by the Laguna Madre area residents. A special admission fee of $1.00 applies from 10 a.m. to 4 p.m. on Saturday, October 29. Altars will remain on display through November 15. October’s Telling Our Stories features an original Play by Gloria Bates~ “Capt. Isley Bell & Los Ratones”. Captain Bell is the Customs Administrator of the Custom Duty House on St. James Island off Point Isabel in 1857. This exciting drama includes the Texas Rangers, the local town beauty, Queen Isabella (suffering memory loss due to amnesia), a princess stowaway (from Spain that lands on Brazos Island) and a dashing Capt. Bell, the hero. Lots of wheeling and dealing and tricks! Justice prevails in the end! Honesty pays! And the truth triumphs! The Museums of Port Isabel and the Laguna Madre Museum Foundation are proud to present its “Telling Our Stories” Series of 2016 on Thursday, October 27th, at the Treasures of the Gulf Museum, 308 Queen Isabella Blvd. at 7pm. No admission charge. Open to the public. Refreshments. Call 956/943-7602 for more information. 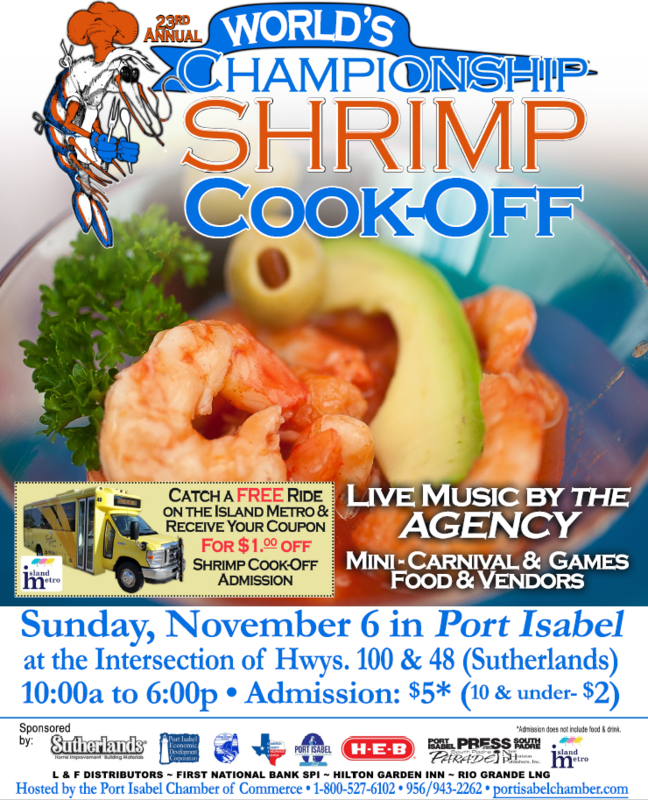 Sunday, NOVEMBER 6 & 20, from 9 a.m. to 4 p.m., Port Isabel Antique & Flea Market. Beulah Lee Park on Highway 100. Dozens of dealers & thousands of deals! March – October: 1st Sunday of the Month. 1st & 3rd* Sunday 9a-4p November – February. FREE ADMISSION! For more information: Gloria Bates 956/455-6798.